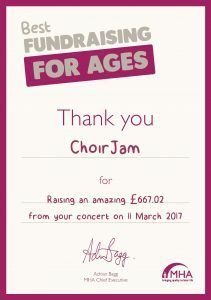 ChoirJam raised the roof and funds for the MHA’s Music Therapy Appeal at a concert on 11th March at St John’s Church in Keynsham. The 80-strong ensemble, accompanied by their live band, performed a selection of pop tunes from across the decades. They were joined by The Magnificent AK47 men’s choir from Wiltshire, known for their humorous approach with songs such as “Man Flu”. The concert culminated in a joint finale with a rendition of Elbow’s ‘One Day Like This’, and it’s fair to say there wasn’t a dry eye in the house. 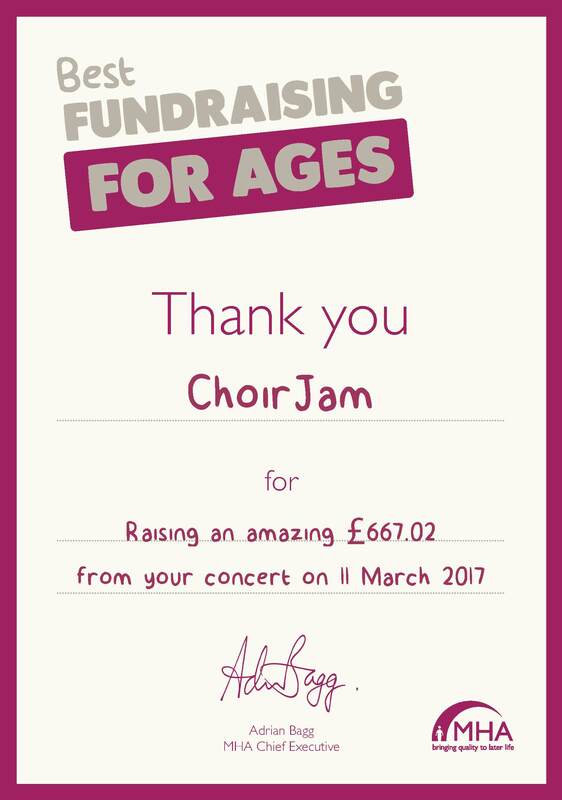 The concert raised funds for the MHA’s Music Therapy Appeal that aims to raise £22,000 to provide pioneering music therapy to all residents who are living with dementia at its Horfield Lodge care home in Bristol. Using Music Therapy, specially trained music therapists can regulate residents’ emotions to alleviate symptoms and identify their possible causes. Music Therapy is becoming increasingly important as it can modify a patient’s behaviour by significantly alleviating agitation and even reduce a patient’s reliance on drugs.